Despite the critic role of mass spectrometry in quantitation analysis, there is a paucity of didactic texts dealing with this area. 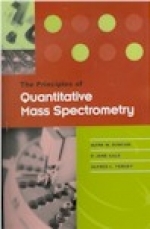 Written by three experienced mass spectrometrists [...] this book will prove to be an indispensable practical guide to those interested in understanding, developing, and refining approaches to quantification based on mass spectrometry. Although targeted at the newcomer to the field, managers, teachers, and experienced practitioners alike will find this to be a valuable resource. Features include, instrument characteristics needed for quantitative analysis, issues of fitness for purpose, preparation of the calibration curve and assessing its quality, assay validation, protein quantification and proteomics, and guidelines for publication of mass spectral quantitative assays.